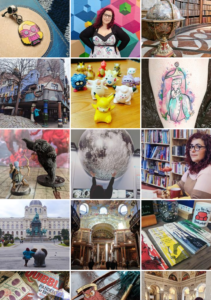 A Tourist In My Home-Town: Medieval Meanderings and Macabre Stories! You may recall my recent post about the Herbert Art Gallery and it’s amazing hidden Medieval Undercroft, that I had the pleasure of visiting. 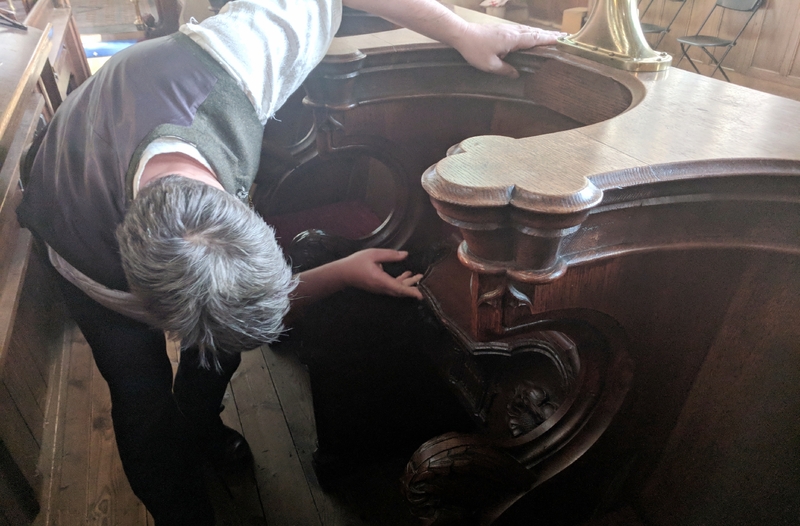 My friend Dom, who is a historian offered me an exclusive tour and then we spent the rest of the afternoon wandering around the area and ended up in the Holy Trinity Church. I just wanted to share with you just a few of the stories and interesting facts that Dom told me during our wanderings. It was incredibly interesting to learn of the background behind the carvings, the inscriptions and the layers upon layers of incredible historical masterpieces. 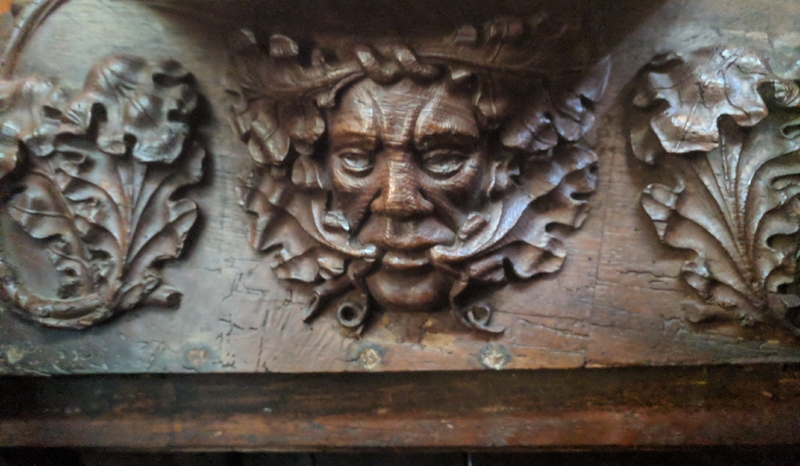 The Green Man (above) was a popular image in carvings and reliefs all over the church and the cathedral. It appears that it could be a pagan symbol, however the real reasons as to why these are so prominent and frequent throughout Christian churches like these have been lost to time. It could have been that it was just a popular motif used in Gothic and Neo-Gothic architecture. 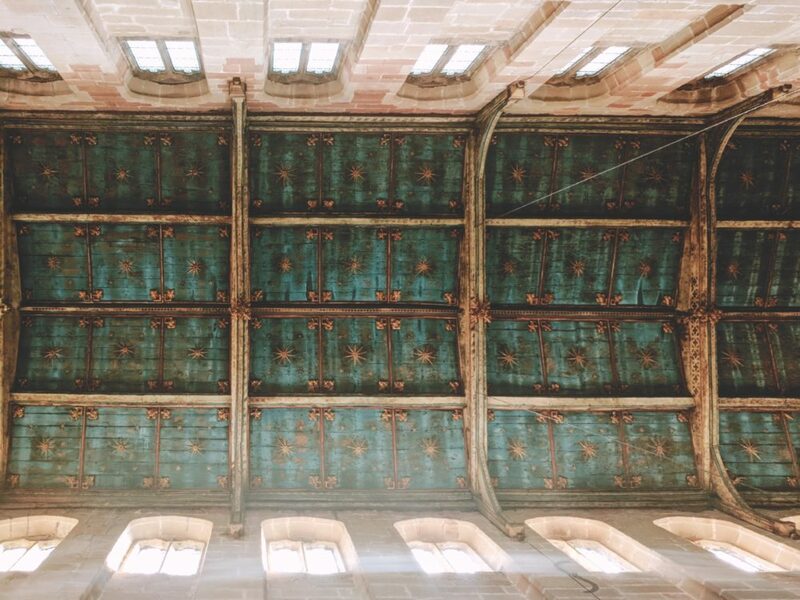 The inside of the church ceiling is intricately detailed with stars and dyed blue with to keep with the 1400’s blue dye that Coventry was famous for during it’s time as a spearhead for cloth waving and dyeing. Dom mentioned of a Scottish Bishop whose feet were never allowed to touch English hallowed ground. So of course, in order to get around this the English church exploited a loophole. 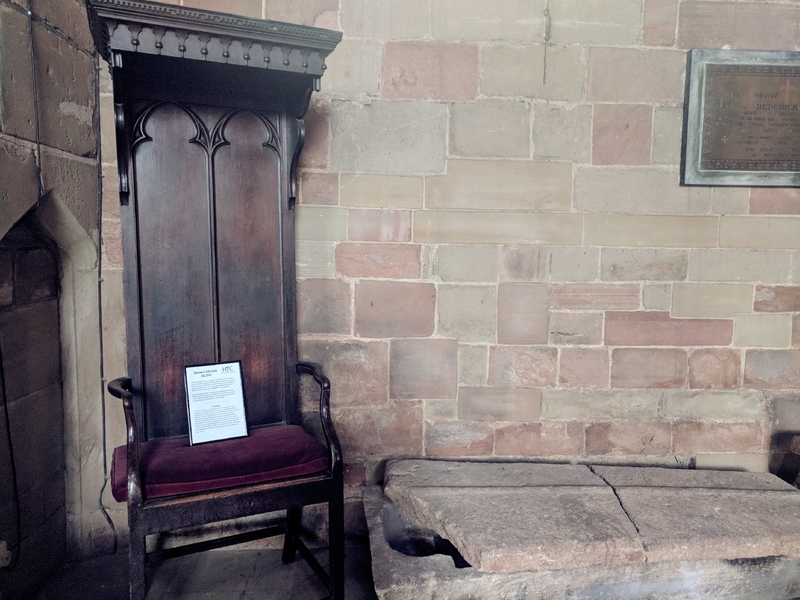 They built the Bishop a high chair (below), so that when he was carried in and placed down, his feet never touched the ground. The dead were often buried in caskets like the ones above, which were made of solid stone and lead-lined. Due to this oversight, when the bodies decomposed and released gases and fluids there was nowhere for these to escape and so were often prone to explode if disturbed! Thanks so much to Dom and to the Holy Trinity Church for not kicking us out when they closed around us and we had to be let out of the little door- we must have been enjoying ourselves too much!